The Galway slip-on is made with tumbled, full-grain leather upper with leather lining. 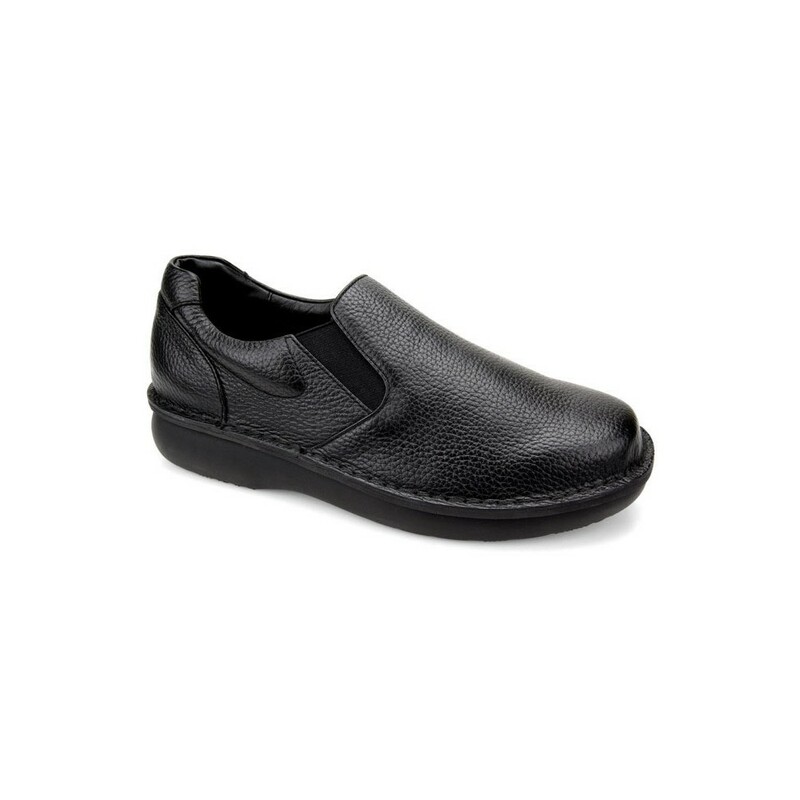 Its stitch to sole construction and added room in the toe box make this a unique shoe that offers therapeutic benefits. Wears nicely with dress pants or blue jeans. 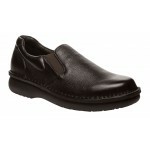 The padded collar and tongue provide an additional area to make wearing these shoes a delight. See Shoe Width Conversion Chart for width guidance. Don't Miss Out: Last quantities in stock! 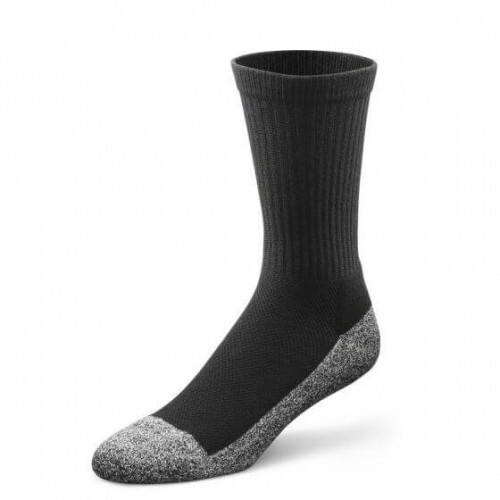 Contains antimicrobial properties that help prevent leading causes of foot odor. How much wider is it between widths? On most shoe manufacturers, the difference between widths is approximately 1/8 of an inch from each width. What is the best way to measure my feet for the right shoe size? The best way to measure your feet for a shoe size is to get the length and width measurement of your feet. The length is the measurement from the heel to the longest toe. The width is the measurement at the widest part of the foot, generally right behind the toes. If you would like us to suggest a shoe size for you, please send feet measurements to customerservice@flowfeet.com. What is a double depth shoe? These shoes are designed with extra space and with removable insoles for even more room to insert medically prescribed foot orthotics or just provide more room inside the shoe. Generally, a double depth shoe provides an additional 1/2" depth than a traditional shoe. What is a polyurethane outsole? Polyurethanes are found in a wide range of footwear types. Although best known for sports and trekking shoes and boots, they are also extensively used for business and fashion shoe soles, as well as high-quality safety shoes. Low-density to compact polyurethane systems are utilized for mid-soles and outer soles. What is an EVA outsole? EVA (Technically named Ethylene Vinyl Acetate). EVA is one of the best shock absorption materials available today. This is why all the major top-line brand manufacturers use this material, due to the great combination of shock absorption with the light weight of the sole. Generally, an EVA outsole makes the shoe lighter in weight. What is a rubber outsole? A rubber outsole means the bottom of a boot or shoe is made of rubber. Generally, a rubber outsole provides slip-resistance benefits when in contact with oil and other slippery surfaces. Please see individual shoe styles for slip-resistance specifications. What is a firm heel counter? The heel counter is located in the back portion of a shoe and is typically a small plastic insert used to reinforce the heel cup and increase support. What is a heel stabilizer? The shoe heel stabilizer can be made of rubber, plastic or leather. The stabilizer is bonded to the upper (top material of shoe) and midsole (in between the bottom and top of shoe) on the outside of the shoe as a functional and style part. A layer of material between the inner and outer soles of a shoe, for absorbing shock. What is a shank in a shoe? A shank is a supportive structure between the insole and outsole of a shoe. Shanks can be made of steel or fiberglass. The shank in the shoe gives the shoe stability and prolongs the life of the shoe. What is a heel cushion? A heel cushion is a pad in the heel of an insert/insole that helps absorb shock as you walk. A padded heel cushion can help with foot conditions like plantar fasciitis. What is a rocker bottom shoe? Rocker bottom shoe is a shoe which has a thicker-than-normal sole and a rounded heel. Such shoes ensure the wearer does not have flat footing along the proximal-distal axis of the foot. The rocker bottom helps with the gait cycle. What is a medial heel stabilizer? A medial heel stabilizer provides rear foot walking stability and minimizes slippage. What are the benefit of copper in socks? Copper socks have natural anti-fungal and anti-bacterial properties, as well as an ability to improve circulation, and these benefits begin as soon as they touch the feet. What shoes would you suggest for rolling ankle? You will want to look for a shoe that is sturdy with a cushioned heel. I am a woman interested in a men's shoe, what shoe size should I order? Depending on the brand, you should order 1.5 to 2 sizes smaller than the women's shoe size that you wear. The width should be a full width size down. For example, if you wear a women's 10 XW, you would order a men's 8.5 or 9 Wide. Please contact customer service at customerservice@flowfeet.com or (657) 333-8002 for ordering conversion on specific styles. Do you accept Medicare or Medicaid? We offer free shipping on all domestic orders (orders shipped within the U.S.). International shipments incur a $19.95 shipping fee for the first pair. Additional pairs will incur a $39.95 shipping fee. How long do I have to return the shoes if I am not happy with them? We have a 100% customer satisfaction guarantee! This means if your ordered shoes don't satisfy, fit, or make you happy, then you can send them back to us within 30 days from the date of purchase for a refund. How do I return my shoes? Please review our Return Policy page. What if I love the shoes but the size is just a little off? We offer free exchanges! Simply email customerservice@flowfeet.com with the order #, style, color, size, and width you would like to exchange for and we will send a free return label to you. Once the return item is received and inspected, we will ship the exchange item for free. My shoes are defective, what do I need to do to return them free of charge? Take the package to your nearest shipping service location by using the return label that we provide, all shipping charges will be billed to us - your exchange is free! Your exchange will be shipped to you with no additional shipping charge! Do you every offer discounts or discount codes? Yes! At various times throughout the year, we do run promotions. To be notified of upcoming sale events, please sign up for an account at https://flowfeet.com/login. Also, don't forget to check our clearance section: click here! An error occurred while sending the message. Flow Feet offers quality diabetic and orthopedic shoes in a variety of styles and types - both classic and modern. 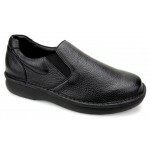 The footwear is designed to provide comfort and relief for a variety of foot conditions.